Artprize artist Michael Murphy spoke with GRTV's Mike Knorr outside Madcap Coffee during the opening weekend of Artprize. Michael's work is next to the WMCAT building on Fulton St. 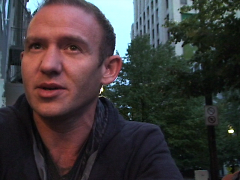 In this video he speaks about his piece in Artprize and some of the previous works he has done.